Last year my life changed. There were 2 major events which prompted this change, the first was starting a new job at Too Good To Go – the app that’s fighting food waste in the UK & Europe, my eyes were opened to the issue of food waste and its impact on the environment. 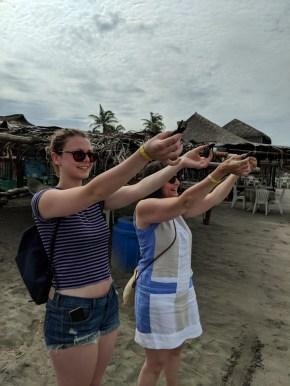 The second was realising the plastic pollution crisis, whilst on holiday in Mexico. I found out about plastic free july after a trip to Mexico in June when my mum and I visited a sea turtle rescue sanctuary and learned about egg poaching, and then the danger of plastic pollution in the sea once the babies make their way out there. 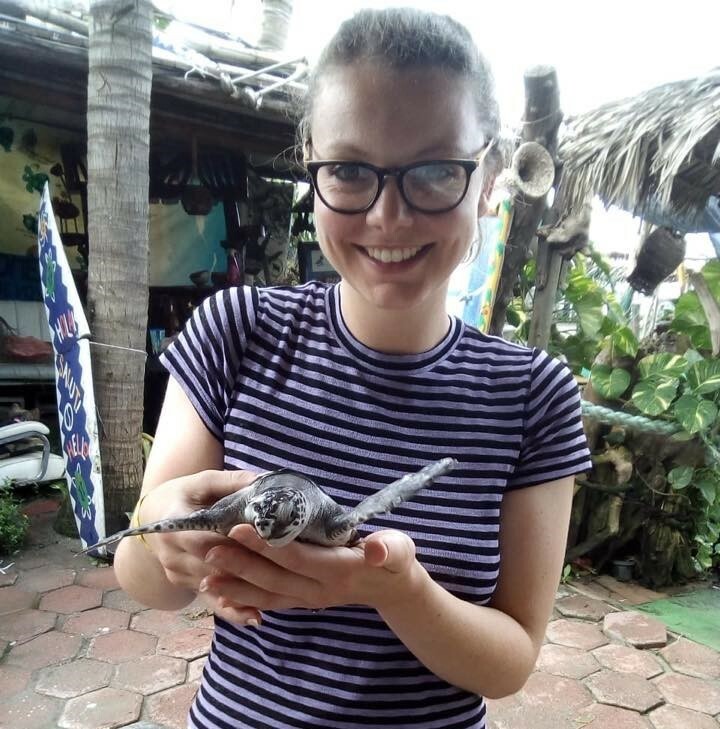 The realisation that the baby sea turtles we released would probably not make it past their first year, combined with that harrowing image of the sea turtle with the straw stuck up its nose hit me hard, and my journey to live a simpler, greener life began. I started trawling the internet for ideas to reduce the waste I produce. I noticed the words ‘Plastic Free July’ cropping up and immediately knew it was something I had to take part in. I’m happy to say I’ve never looked back and my mindset has completely changed. Turning to a less wasteful lifestyle is empowering and really highlights to me how rewarding the simple life really is. Some things were easy for me, I already had a Chilly Water Bottle, Keep Cup, Moon Cup and more tupperware than a normal person needs. First I looked at my bathroom and what I could switch out of there; bars of shampoo and conditioner from Lush came first. The Shampoo Bar (‘Honey I washed my Hair’) is amazing but I’m still not convinced by the conditioner bar. Instead Earth Natural Foods (Kentish Town Road) has a station where you can refill empty bottles with liquid conditioner. Toothpaste is another difficult one, I didn’t get on with the paste in jars and found some tab like things in a plastic free shop which were so salty they made me gag. Brushing my teeth has always been one of life’s simple pleasures for me so the worry that this might hinder my zero waste/ plastic free dreams was a big one, luckily now I have found some which are tolerable – Toothy Tabs from Lush, they come in a plastic bottle but Lush have a return scheme in their shops so at least I can take the bottle back when it’s time to replenish the stocks. Now to the kitchen – bulk shopping has become a joy for me, I’ve discovered shops I would never have usually ventured in to and have created quite the collection of jars, empty jars have become gold dust to me and I honestly think one could never have enough of them (this may resonate with others on a zero waste journey!). I take them with me to the shops to fill, this ensures you don’t go mad and end up with a kilo of red lentils (I’m speaking from experience here, honestly no one needs that many lentils). Food shopping is a different experience every time, to go and and find seasonal veg from local shops is so satisfying – especially if it’s close to the end of the day and they have bowls of veg which would end up being wasted if unsold. I’ve found some incredible bargains through these bowls, they usually sell them for £1! I always carry some material produce bags with me for unexpected shopping, and for when I’m tempted by a cheese twist from the supermarket – I get some weird looks when they see my cheese twist in a cloth bag but it’s just the way things have to be. Long story short – it really is a journey to become ‘zero waste’, small changes over time become normal and make you wonder how we allowed this plastic crisis to get this far. I would recommend for everyone to start making these changes now and add more and more alternatives over the course of a few months. What a great New Years Resolution (even if it’s late), to phase out single use plastic and find alternatives to reduce and reuse in 2019. If we all did this we would make some big changes, find the easy things and change them first!